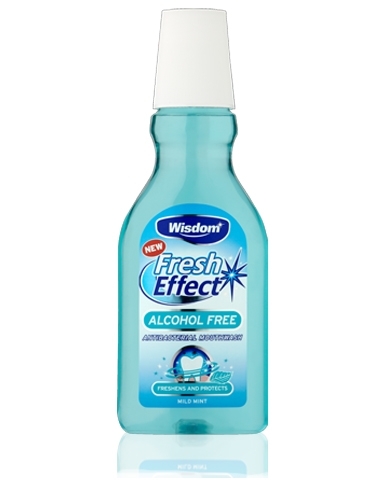 Specially formulated Alcohol Free mouthwash, to give an effective but gentle clean. The antibacterial formula helps fight plaque bacteria whilst the added fluoride helps strengthen teeth to help fight decay. The Mild Mint flavour provides a gentle cleaning experience and helps to freshen breath. Ingredients: Aqua, Sorbitol, Glycerin, Polysorbate 20, Potassium Citrate, Aroma, Cetylpridinium Chloride, Sodium Fluoride, Sodium Saccharin, Citric Acid, 2-Bromo-2-Nitropropane-1,3-Diol, Menthol, Cl 42051, Cl 18965.